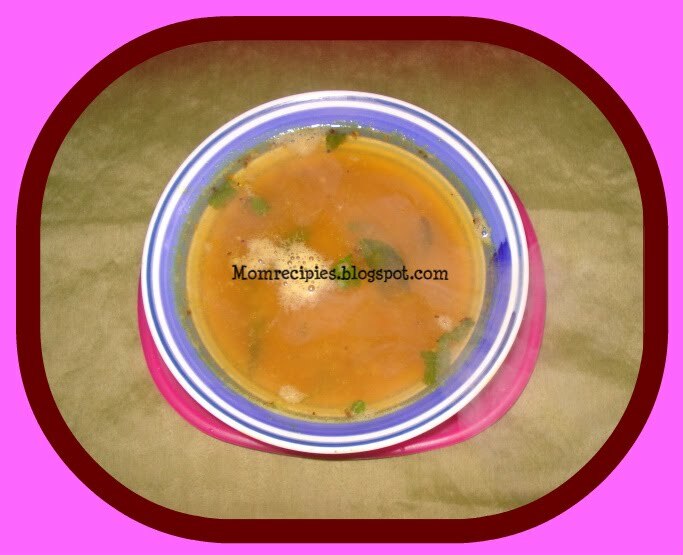 Rasam is a South Indian thin soup.. 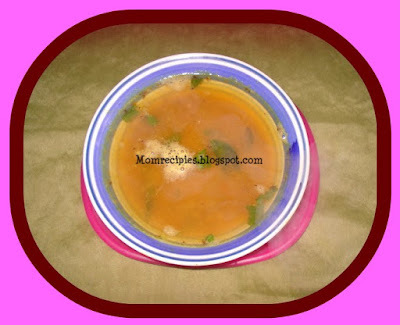 There are so many varieties of rasam though the basic recipe remains the same.It is called Rasam in Tamil nadu, saaru in karnataka, charu in Andhrapradesh.This pepper rasam is very effective in clearing up your nose and throat during the Winters.It also removes indigestion when you are ill .
1. Dry roast whole black pepper and cumin seeds and grind in to a fine powder and store in an air tight container. This will stay for 1 week with its aroma. 2. Soak tamarind in warm water for 10 min. and squeeze the juice with 1 cup of water. 3. Crush garlic with red chilli together . 3. Wash and chop tomato in to small pieces and add to tamarind juice ,turmeric powder, hing ,1/2 cup of water, salt to taste and bring to a boil. 4. Then and coriander leaves,charu podi and crushed garlic and red chilli and boil for 5 more mins. 5. Heat oil in a pan and add mustard seeds let them crackle then add cumin seeds, curry leaves a and add this to pepper rasam and remove from the heat.